Throughout winter we are surrounded by reminders of particular plants that are associated with this season. 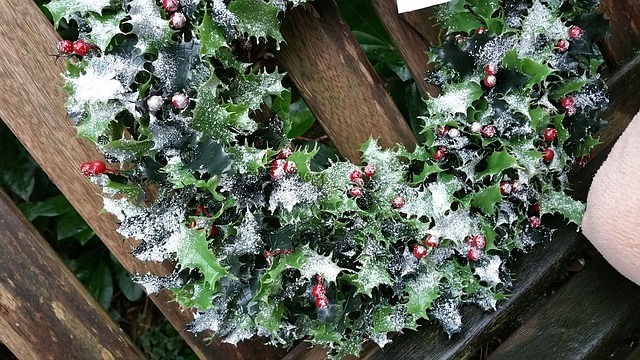 Aside from looking pretty on Christmas cards – holly, ivy and mistletoe can be used medicinally to great effect and support our health and wellbeing completely holistically – and of course any approach that promotes wellbeing from the holistic standpoint will also support rejuvenation and can legitimately be considered to have an ‘anti-ageing’ effect. 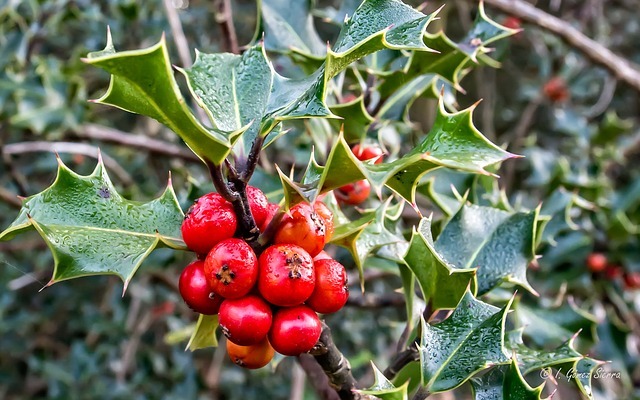 Although used in herbal medicine, holly is most often used in complementary medicine in the form of a Bach (correctly pronounced “batch”) Flower Remedy. These helpful remedies are extremely useful in my practice and have seen great results with my patients. These are gentle, fast acting remedies and easy to use. The Bach Flower Remedy made from Holly is often thought of as the remedy for anger - but this isn't always accurate. In the Bach system anger is considered to be a secondary emotion and we need to look more closely at the underlying cause of the anger. For example, anger based on impatience needs another remedy, as do those angers based on feelings of personal unfairness or impersonal injustice, or where there is a simple loss of control. So, Holly is actually the remedy for very negative, aggressive feelings directed at others - feelings such as hatred, suspicion, envy, spite. Destructive emotions such as these poison us on every level and destroy health - mentally, physically and emotionally. The underlying problem is an absence of love, and the remedy works to encourage our generosity of spirit and an openness towards others. Supporting ourselves emotionally reduces stress dramatically and the flower remedies can help greatly by reducing stress – which is one of the most ‘ageing’ factors in existence. For example in one study, mothers looking after very sick children were, on average 10 years older, biologically speaking, than mums who look after well children. Ivy is used in herbal medicine. It is a bitter aromatic herb that has an emetic effect and a nauseating taste. Over the millennia, it has been used as a handy folk remedy - particularly in the treatment of rheumatism and also as an external application to skin eruptions, swollen and painful joints, burns and suppurating cuts. Recent studies have shown that the leaves contain the compound 'emetine', which is an alkaloid that has amoeba killing properties. It also contains triterpene saponins, which have been shown to successfully treat liver flukes, other internal parasites and fungal infections. 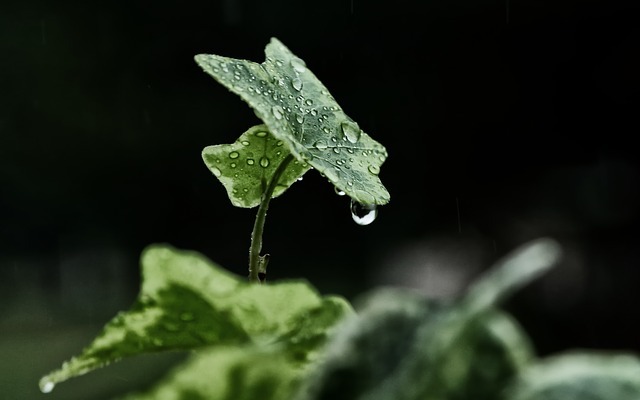 Taken internally, Ivy is used for the relief of gout, rheumatic pain, whooping cough, bronchitis and as a parasiticide. An infusion of the twigs in oil is recommended for the treatment of sunburn. However, as the plant is mildly toxic it is imperative that it should be used under supervision of a qualified herbalist. Ivy can be considered to have anti-ageing properties as it protects us against a number of illnesses and conditions – outlined above – which cause inordinate stress to our bodies. 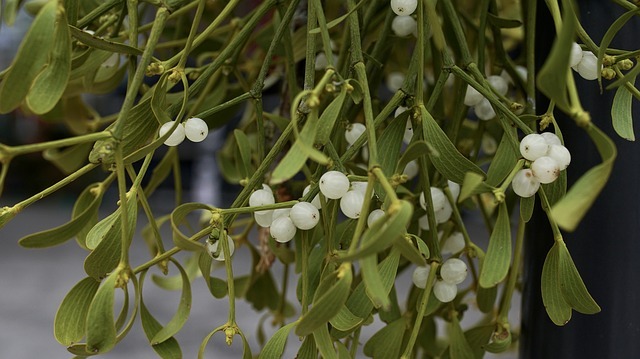 We all love a kiss under the mistletoe - but this extraordinary plant has a fascinating history and a valuable role in medicine and healing. Shakespeare called it 'the baleful Mistletoe,' which alludes to the Scandinavian legend that Balder, the god of Peace, was killed by an arrow made of Mistletoe. He was revived following the request of the other gods and goddesses, and Mistletoe was afterwards associated with the goddess of Love, and it was ordered that everyone who passed under it should give and receive a kiss, to demonstrate that the mistletoe had become an emblem of love and not of hate. Mistletoe was greatly revered by the Druids. They gathered mistletoe with great ceremony, by climbing an oak tree and severing the mistletoe with a golden knife. It was always cut at a particular phase of the moon, right at the beginning of the year and the Druids only sought the mistletoe following dreams and revelations instructing them to hunt for it. On the occasions when such dreams had not occurred – or it mistletoe had fallen from the tree, it was a considered to be a forewarning of very bad luck. The Druids believed that mistletoe protected its possessor from all evil, and that the oaks on which it was seen growing were to be respected because of the wonderful cures which the priests were able to achieve with it. At the beginning of the New Year, Druidic neophytes would travel around announcing that the New Year had arrived. People speculate that the custom of including mistletoe in the decoration of our homes at Christmas is a relic of this old custom. Parts Used Medicinally: The leaves and young twigs are collected just before the berries form and are then dried. As early as 1961, laboratory studies demonstrated that mistletoe, along with other immunostimulant plants (such as eupatorium, astragalus, echinacea, acathopanax, chamomilla, and sabal), inhibited tumors in mice, mistletoe continues to be studied for its anti-cancer properties. In addition, a range of conditions including convulsions, delirium, menopausal symptoms, neuralgia, urinary disorders, and heart conditions have benefitted from the activity of mistletoe. In closing, Mistletoe and Ivy should be used under the supervision of a qualified medicinal herbalist who will be able to advise on dosages. The Bach Flower Remedy ‘Holly’ can be self-administered however I would always advise that a qualified Bach practitioner is consulted as these remedies are subtle and it is very difficult and inadvisable to self-diagnose – especially when emotional issues are at stake.